The murmurings of an across school leader. Several years ago, I began blogging and in my earlier writing days I wrote a piece about learning and used Mangroves and how they adapt and evolve depending on what is happening within their growing environment to make a comparison about learning Several years later I wrote about Distributive Leadership and used flying geese as an analogy for leadership. Earlier last year I joined a global webinar and spoke about the learning and networking I do as a Global Educator. Then I worked with other Across School Leaders in different Kāhui Ako as I ran a webinar for #INZpirED. More recently I shared about learning at a local school and spoke about networked leadership and again compared this to Mangroves. This week I reread the article on “Discussion Leadership for Communities of Learning” and thought about starlings when they murmur or fish when they shoal and believe that this is how Across School Leaders look like as Networked Leaders. When I began in the role two years ago, I felt like the starlings moving as a murmur with little understanding of direction but instinctively knew that this was the future of leadership. If you watch videos of murmurs you will understand what I mean. If you are new or not so new to the role, you will also understand what I mean. The discussion article referenced “Five Think Pieces” and after rereading this second article I thought I would unpack my understanding of what leadership looks like as an Across School Leader. So below is what I have written and if you have any feedback, ideas or suggestions I would love to open up discussion via twitter and use the hashtag #EdBlogNZ. An Across School Leader (ASL) is an educational leader and is different from leadership in schools because their focus is to operate as a networked leader within a Kāhui Ako. 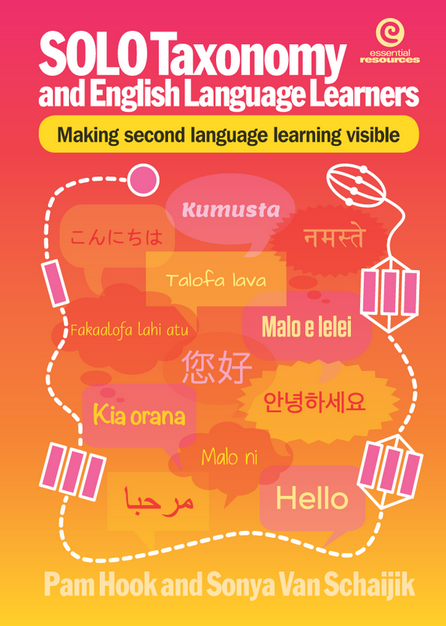 Therefore an ASL is also part of the wider community of Kāhui Ako so they are a part of Government’s Investing in Educational Success initiative. They have different facets to their role description. The primary focus of ASL leadership within Kāhui Ako focuses on actions that will shape the culture of learning more powerfully and develop the professional capital of teachers as a group. An important ASL skill is awareness. Awareness that they are part of a larger networked system and so they seek ways for the collaborative development of their leadership. An ASL identifies conditions required to enable them to work with each other, across sectors and with related agencies regionally, nationally and globally in ways that enable learning and development. They identify responsibilities that they have to the Kāhui Ako beyond their own schools and own school leaders. An ASL helps provides access to people, information, and resources. They develop and use networks in ways that builds relationships and strengthens alliances in service of Kāhui Ako work and goals. An ASL has confidence in their own knowledge and strengths. They have identified gaps in what they know and have the skills to network with others who can support the work they do. They have an understanding of complex adaptive systems because they know they are system leaders and it is important for them to identify what those systems are in order to strengthen their work. Complex adaptive system opens up new ways to work, with ideas advocated in complexity theory which is the study of complex and chaotic systems and how order, pattern, and structure can arise from them. An ASL helps establish the systems and structure on how the Kāhui Ako will report and track on student and process outcomes each year. Some of these include transparency of record keeping and communication. ASLs work transparently because the more public they are, the more order develops in their work, the more easier they are found, the more opportunities come up for networked learning. Another part of their work is about being data informed and learning from failure. Knowing and working with data helps the ASL identify patterns in learning and track how successful the Kāhui Ako is towards their goals. An ASL understands that they are partners in leadership and learning and that they are partners in the Treaty of Waitangi. Therefore as leaders they work in learning partnerships and in collegial team coaching groups with a focus on learning and development. They are project leaders and can network relationships across developments within and across Kāhui Ako. They are coaching leaders and understand about changing their own practice in order to coach others to do the same. The ASL operates within the networked paradigm, promoting high levels of collaborative inquiry and activity, activated by strong mentoring and coaching relationships. An ASL needs to be aware of community learning needs in order to target a particular type of learning that is not yet already available. They lead project initiatives within the Kāhui Ako and foster community relationships. Their role is critical for achieving the standards of education leaders in education. Their leadership is inclusive, strategic, and above all collaborative. ASLs are distinguished by not just being leaders for the schools that they work in but also be part of the wider network of community leaders and have a clear obligation to the Kāhui Ako community. Their focus is on the development of a leadership community of practice, and to advocate for the kind of professional learning required by network leaders. At the same time success as an ASL requires individualised commitment to their own Kāhui Ako goal. Overall Across School Leaders must operate as Networked Leaders. They look for ways to maximise interaction between themselves, the In School Leaders that they work with and the senior leadership teams of the schools they work with and their community. In addition they go beyond themselves and cross sectors and identify related agencies regionally, nationally and globally in ways that enable learning and development. ASL must develop their own leadership in order to be effective in terms of developing professional leadership and any form of leadership development programme should operate within the network. They must develop their knowledge of social media in order to tap into Kāhui Ako regionally and nationally and to connect with other learning communities globally to learn with and from them. They seek opportunities to share learning and regularly reflect in a transparent way. Some of these ways these can be via social media, through blogging and presenting. They hear all voices in their community and actively seek ways to create dialogue. They keep transforming and know that they are evolving and changing with the needs of the communities that they work with. The work they do is based on changing their own practice and to develop networked system leaders for New Zealand schools. To finish with I believe that to be a successful ASL I must move from making connections, to collaborating, to coconstructing, to copresenting, to coreflecting. Reruns and the chance to give a shout out to some tweeps. On Thursday I sat in a Cafe in Mount Eden waiting for a meeting with colleagues. I had caught the bus in from home. Once seated found out that there was no WIFI. Shock and horror, now what. So I drafted this post using old school as in used a Word document and no I did not use a pen. The quiet time gave me a chance to reflect on the year and so I thought I would write this post like a rerun we might watch on Netflix. This year has so far been an interesting year. I have been quite sick health wise. Last year I picked up a cough which is just sitting there. My writing has taken a bit of a back seat too so my blog is like my garden. The weeds are visible and the order is not quite as strong as it should be. However this year I believe I am getting better at being the the wind under our teachers with encouragement. With our ACCoS teachers I have been there encouraging them to make what we do visible. This year I can definitely see the work being shared both via our ACCoS Blog and via the Community of Learners Facebook Group. So this post is to highlight some awesome teachers that I work with. I include their twitter handles so do follow them. Most of our teachers have completed their Mindlab Digital passport for the new Digital Curriculum that is being introduced to schools. I give a shout out here for @KishanMani2 as he has taken on board the role of leading the DC|MH at our school. With his gentle persuasion, most of our teachers completed their online learning and were able to show him their certificates. A shoutout here too for our Senior Leadership team who were interviewed by Mindlab. They were the first teachers to complete their Digital Passport from our school. @newmarketschool @ginnynz01. Teachers who use Seesaw at Newmarket School have all achieved their Ambassadors Badge. I am really proud of then for that because it means they can problem solve any difficulties they face using Seesaw. @MissSMorrison1 @MrsEReihana @Nikki_From_NZ @JamiesonVeni @Reubinai @rushikanz @newmarketschool and @ginnynz01. Some of our teachers have passed their Hapara Champion Certificate. I give a shout out here to @newmarketschool and @ginnynz01 our senior leadership team who took on the challenge to achieve theirs as soon as I put out the first call from Hapara for teachers to do the online course. Earlier this year I visited Samoa for a family funeral and had the chance to catch up with extended family and meet the next generation. Another wake up call to be one of the ‘aunties’ now. Aunties as in I am now the older generation. You can read my journey here. Coaching wise I have had a coach in a young teacher and have thoroughly enjoyed the discussions and the way she can nail me for accountability. I have enjoyed relearning how to phrase statements from her so that the onus is on me to problem solve. I give her a shout out here so do follow her on twitter. @Nikki_From_NZ. Alongside here is @w0rdsbyshay. Just popping him in because he achieved quite a few likes with his support tweet for her. This year I have been leading the Mathematics/Pangarau initiative for the Auckland Central Community of schools. From my school we have Belinda and Ainsley who are the ISL for Newmarket School. Here is a shout out for them. @BelindaHitchman @AinsEliza. Again I give @ginnynz01 a massive shout out because again she has been my mentor during the year and has continuously reigned me in when I start plucking at baubles for the team that I work with across the three schools. I have picked up the role of Travelwise again for my sixth year and I give a shoutout for the amazing student leaders I work with who have driven the school wide events. I give a shoutout here for @AklTransport who give me Robyn and Delia who support me in the work I do and to Megan from @TrackSAFENZ who is just awesome. Finally a huge shout out to the teachers who I work with across the three schools. These are the ones who now are on twitter. @BryceMills16 @clararosekim @mathsdr @andyp_lawrence. There are several others who I will slowly bring them on board to connect with other Kāhui Ako on twitter. Yes check out the list here and if you are reading this and are not on the list, please tweet me. @vanschaijik. I also add @JillFarquharson our ACCoS lead principal here as she has been listening and encouraging some of what I say in regards to being visible in the work that we do. Members of our Mathematics/Pangarau initiative have willingly agreed to present our narrative at Ulearn this year. I am extra proud of them. They have helped me write the reflections for our ACCoS blog which makes my task so much easier at the end of the year to create a summary of what we do. This piece really does feel like a Television rerun and yet writing this gives me the opportunity to think of how much has taken place in our school this year. If you have been wondering then yes I have also completed my Seesaw, Hapara Digital Passport certificates too. I am still working on my health, I have been accepted for the Hapara Trainer course, I have put my hand up to coordinate our ACCoS summary for this year and it will be in video so of course will use TeachMeetNZ format but will use my school account because I can take up to 15 in the Hangout, the team are presenting at Ulearn with me, mum still lives with me and this year she turns 90 so a party is planned. I have written before about the importance of making connections before collaboration can happen. Co-Creating lifts the game of collaboration. This October several collaborations happened. As an Across School Leader in the ACCoS Kahui Ako, I ran a TeachMeetNZ with a focus on ACCoS. You can read all about that collaboration here with principals, ASL, ISL and classroom teachers involved. We even had a facilitator take part too. Then following that I attended uLearn with 3 Across School Leaders in our CoL who presented with me and we shared our narrative. You can read all about that here. We can talk about collaboration but when we co-create evidence of what we do then that is even more amazing. Here is a link to the abstract. Core EduCation have just updated their page of resources for uLearn. This helps with curating the experience. So from there I managed to locate some images to help with this blog on their flickr site. During uLearn plenaries, I uploaded my own notes of Eric Mazur’s session and also of Brad Waid. I did not take any notes of Anne Milne’s session and cannot stress enough to teachers that they must listen to her plenary as she speaks openly about her experience being a principal and how she addressed the marginalisation of her learners. Anne wrote a great article here that also included what she spoke about in her plenary. Takeaways: My query why student’s work would need downloading as PDF? I then reflected on wondering if this was the pathway we need to be taking. Takeaways: How fast things can change. Takeaways: update own knowledge of VR and keep tracking what is happening in this area. Takeaways: With the right people and tools magic happens. Takeaways: Ideas for getting our ASL and ISL working together. I really liked how they structured their session to have us talking together. Presenting with three ASL from our ACCoS cluster. I felt really proud of how we managed to work together and pull the session together. A great discussion and a great sharing. I believe that the padlet we shared allowed us to see how far we have travelled on our journey. Meeting Chad for the first time face to face. I met Chad several years ago via twitter and I was part of one of his google hangouts. Celebrating my birthday at the uLearn annual dinner. I usually celebrate my birthday at uLearn but this year somehow the word got out. I attended the dinner with Sue from Epsom Girls Grammar School. As usual I took many selfies. I caught up face to face with several educators I talk to via twitter and I met some of the Core #efellows17. Continue to push for documenting and sharing of what we do in our ASL roles. Work towards collaborative inquiry across our ACCoS Schools. I would love to run an ISL session like we do for Flat Connections and give teachers a taste of using the tools to collaborate digitally across our schools. Special thanks to Newmarket School Board of Trustees and my principal Dr Wendy Kofoed who supported my journey to present at uLearn. Brad began with his pepeha in Te Reo and straight away made connections to us because he took the time to learn something about who his audience is. Technology for learning is continually being invented. The power of screen time- leveraged the engagement of a screen to get chn up and moving. Niantic Lab built Pokémon using Ingress maps. How can we make a difference today? What the world needs is more of us in it sharing……….. Together we can change the world just by changing our minds. You can read more about Brad’s keynote on Edspace. PS: Thanks @coreeducation for inviting Brad to my huge birthday celebrations. In September of 2014 I had been turning a few phrases around as I researched the term Connected Educator. From there I created a list of current phrases and decided to get some bloggers to unpack and query what these terms meant. Then thought, why not write a book and each blogger contribute their part. Via twitter I out a call out and the following tweeps responded. Each author literally had to take a term that they used and critique why it needed to change. My other stipulation was that they needed a critically friend who would give them feedback before their post went live. Read the Digital Copy- you will need to sign in to download. The following year, I thought, let’s do this again. At the same time I realised that I needed to seriously look at co-construction. So running alongside the book, I set up the wiki and invited educators in to unpack the Practicing Teacher Criteria. I was aiming for a collaborative definition of each of the criteria. However as is usual I learnt the most as understanding Tataiako helped frame the terms of reference. Doing this huge collaborative helped me see where I needed to move with TeachMeetNZ, My ideas appeared so big and daunting that I literally freaked out and shelved TeachMeetNZ under the pretence that I was studying. In some ways there was no way I could carry out what I could envisage. That too and just having a year to percolate my thinking. In 2016 I put out another call in regards to EdBookNZ as I believe in always giving back. So that was my main claim to collaboration. That and tuning communication systems for our ACCoS Community of Learners. I put out another call for EdBookNZ and have my complete list of educators. I am really excited because as usual creating an artifact for the education community pushes me into hyperdrive as I also one of the authors. With EdBookNZ I had a massive disaster on ISSUU when I accidentally deleted all my collaborative books. I was more gutted in losing the history of downloads. But in saying that, better things happen and now on ISSUU the books can be purchased or the PDFs download free. However you do need to create an account for the downloads. I also am unsure how to make the paper copy link easily accessible but am working on that. Finally I am really excited about holding a printed book because I have been trying and trying to do something on Amazon, but found the process of publishing too technical. I used ISSUU because it was the easiest platform for digital publishing. A dear friend and mentor said to me recently, holding the completed #EdBooks in your hands is a powerful example of collaboration.